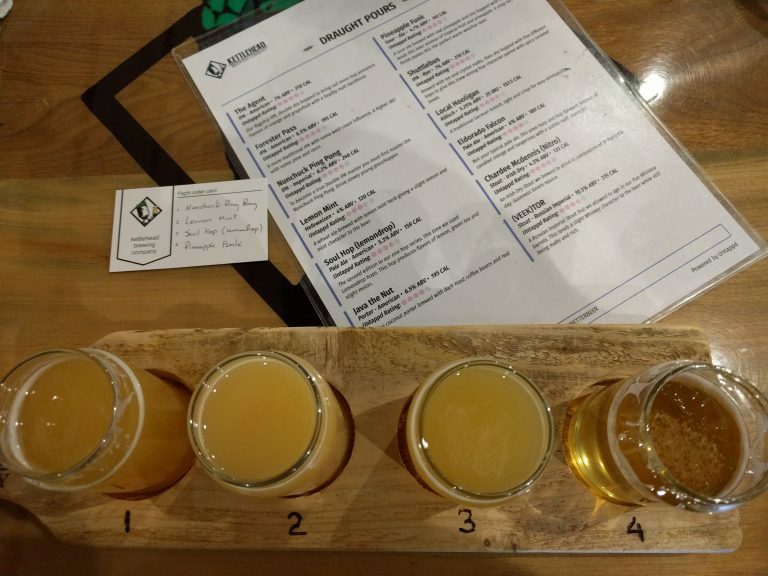 My most frequented Lakes Region brewery, Kettlehead Brewing Company does a bunch of things right. Solid beers, great atmosphere, and just about the best pretzels/mustard combo I have ever had. Really. 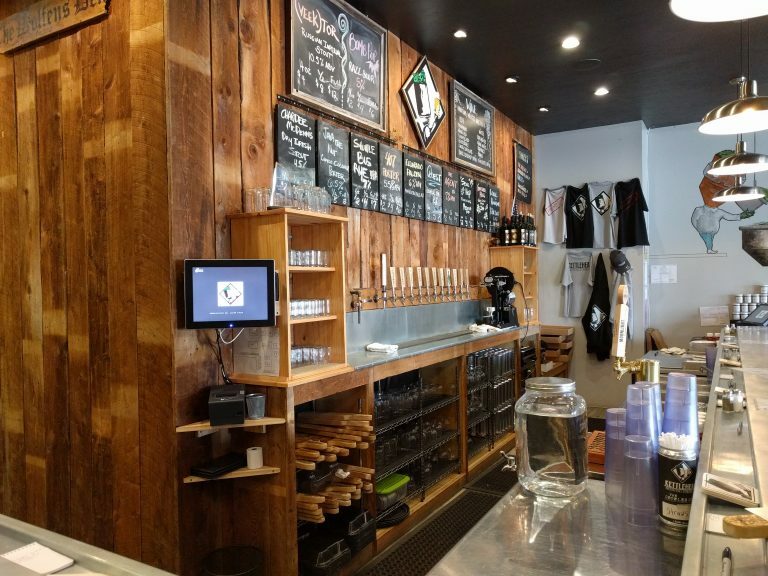 Where is Kettlehead Brewing located? Tilton, NH. It’s proximity to I-93 makes stopping there a breeze. And speaking of bests (see: pretzel), Kettlehead Brewing Company is the best going for Tilton since the Tilton 500. Admit it, you miss it too! 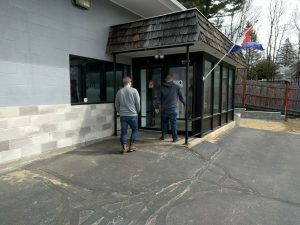 Like Loon Mountain as a ski resort, Kettlehead might be the most accessible of all of the New Hampshire breweries due to it’s location just off I-93. 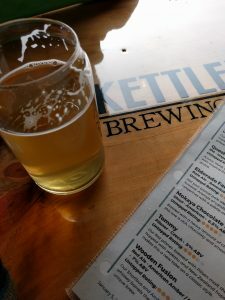 Kettlehead Brewing Company opened in 2017. Dudes with beards? I really don’t know, haven’t met them. But dudes with beards are ALL over the photography. How many barrels do they brew? Seven. They are a larger operation than Burnt Timber in Wolfeboro and definitely larger than Squam Brewing in Holderness. It fits plenty of people. We showed up right at noon on a Saturday in January (2018) and BARELY got a seat. Place is plenty popular. The least busy I have ever seen it out of my four trips so far is on the way to 80s Day at Loon, back in April. They don’t seem to offer a tour, but you can see barrels upon barrels from most seats in the pub. And the tavern is certainly kid friendly, but as the trend holds, not a lot of baby changing stations in the bathrooms. Parents, take note. What types of beer does Kettlehead Brewing brew? Everything under the sun. More sours, pilsners, and kolschs than I expected. Definitely more sours, for real. And of course, the typical array of IPAs. Not a ton of hefeweizens or tripels, but summer isn’t upon us yet. I believe their flagship beer is The Agent, an American IPA. It’s a solid choice and well worth your time. They might have a mug club, but it wasn’t obvious to me. Kettlehead offers flights by the four. This alone has allowed me to try pretty much every beer they offer. Equally so, they do 32oz can growlers which the can, label, and clean right in front of you. You can also walk out with a stack of craft beer packs. Kettlehead doesn’t mess around. I didn’t notice any liquor, but they do serve Hunting Whisper wines (red and white) from Danbury, NH. You know, for those people who don’t like good beer. T-shirts, hats, probably more. Never asked about a pint or flight glass because I bought a 32oz growler can. Oh well, have to go back. Again. You betcha. The chicken tacos are a great choice. The pizzas look good. 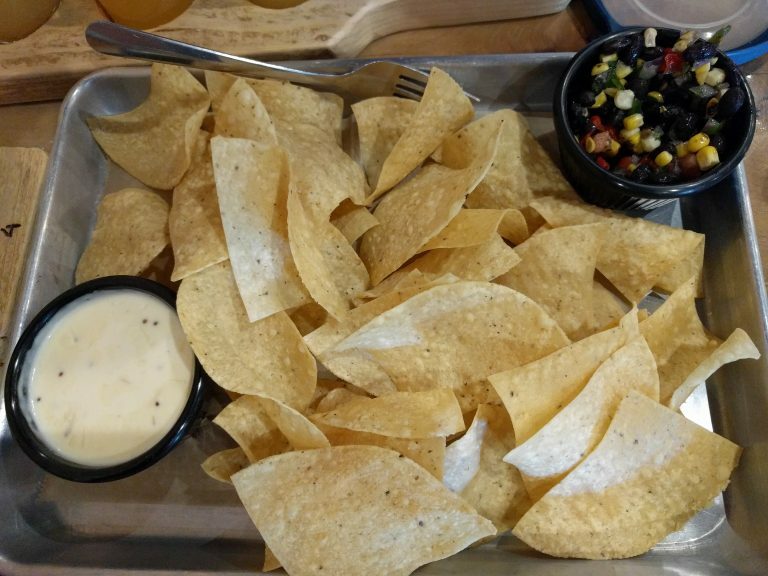 The tortilla chips with the black bean salsa and gouda queso dip is delicious. But the pretzels … oh man. The maple mustard aioli is something that people would have sent letters across the Atlantic for, convincing their family members to leave Hampshire and stake a plot of land in a place called “NEW Hampshire”. They too work with local farms to source as much of their ingredients as possible. I didn’t notice much. Maybe they sneak a band or an acoustic performer in. No clue. Can I buy their beer in stores? Again, no clue. I haven’t researched it that hard. I think that’s because it’s really not hard to get to their Brewery. It’s minutes off I-93. Staff is super friendly. Specials are on a chalkboard. Beer is tasty. Nah, everything checks out. If I did have one complaint, it would be a minor one. The chicken sandwich, ordered twice, was slightly undercooked. Not get you sick undercooked, just a, “eh, wish they kept this on the grill for another minute,” kind of way. Also, they have a comfy looking leather chair on the way in. Plus, they use barrels to prop up tables. Kind of fun. 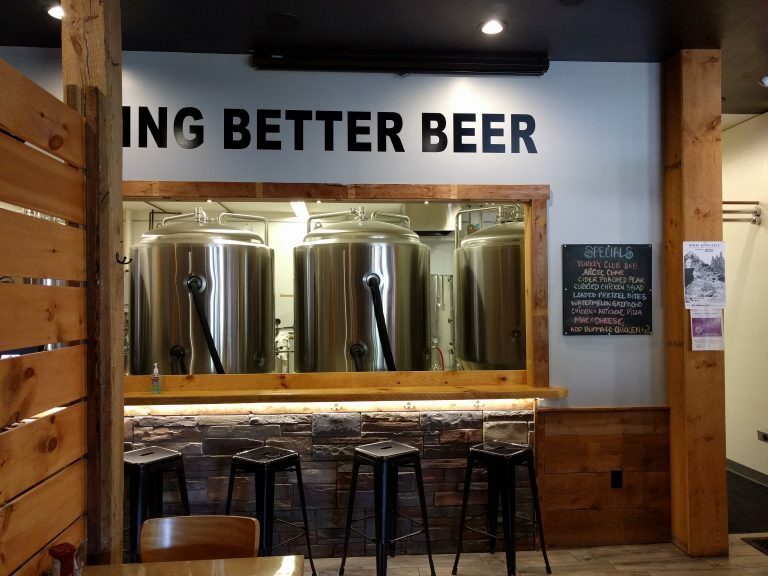 You should visit Kettlehead Brewing, it’s a great addition to Lakes Region craft brewing.